Duncan draws on 20 years Automotive Industry experience to influence, challenge, and develop our team to continually be the best they can be. He has previously held management roles in both new and used sales, as well as experience in real estate sales. He has recently returned to Queensland with his wife and young family from the central coast of NSW and is looking forward to resettling in the Sunshine State. Duncan's temperament will ensure a notable experience during and after the purchase of your vehicle. 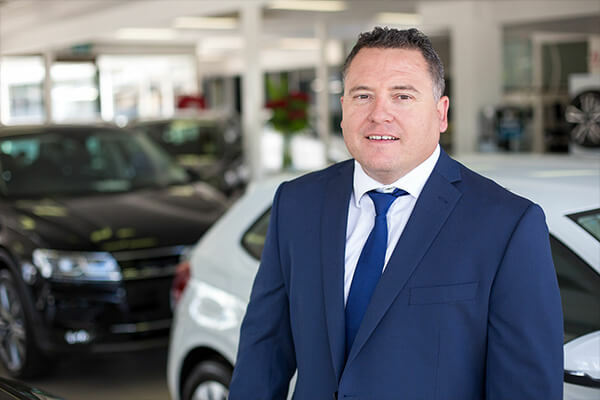 He understands that buying a car is an enormous commitment and that is why Duncan and his team want to help you make the absolute most out of owning a Volkswagen.